A sumptuous blend of warm, rich alpaca and velvety soft silk, Honor is truly an extraordinary yarn. The plush, downy texture is kissed with just a hint of silken shine creating a remarkably ethereal fabric. Honor tends to hold dye with a muted intensity, resulting in faded, understated hues that showcase stitch details and shaping giving Honor a timeless elegance. 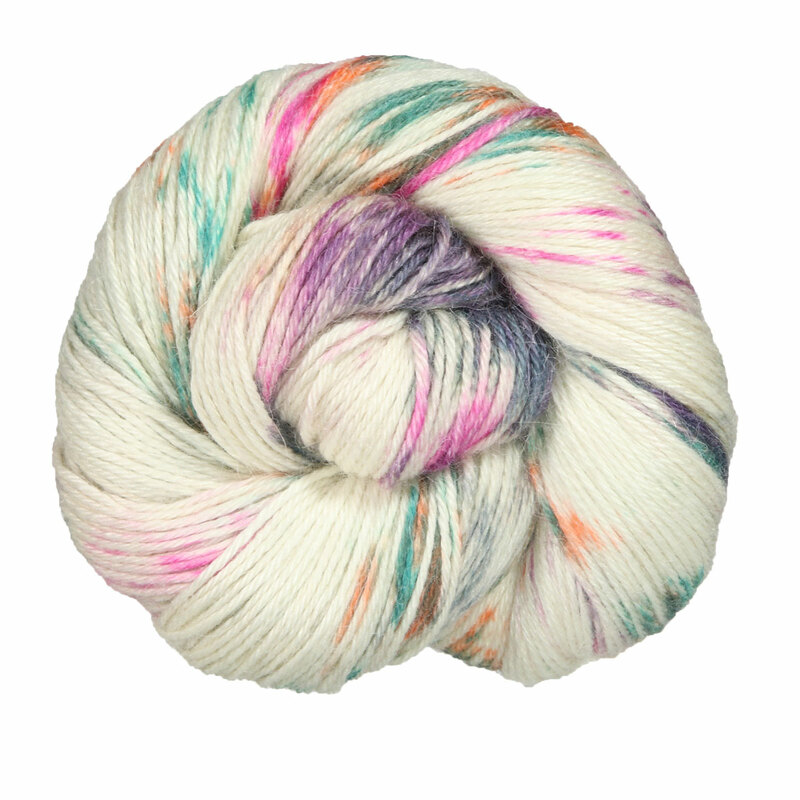 Manos Del Uruguay Silk Blend Multis Yarn is a similar yarn: hand wash, dk (21-24 sts/4 in), 5.5 sts / inch. You may also like Cascade Roslyn Yarn, which is another similar yarn: hand wash, dk (21-24 sts/4 in), 5.5 sts / inch, 100 gram. What about yarn that have the same look and feel? Find more yarn with a soft halo, smooth / uniform and dense texture. You may enjoy taking a look at the Lorna's Lace Honor Knit Red Eyelet Shawl, and Lorna's Laces Honor Lightning Shrug kits all using Lorna's Laces Honor Yarn. Hopefully our suggested project ideas for Lorna's Laces Honor Yarn can help you come up with your next exciting new project idea!